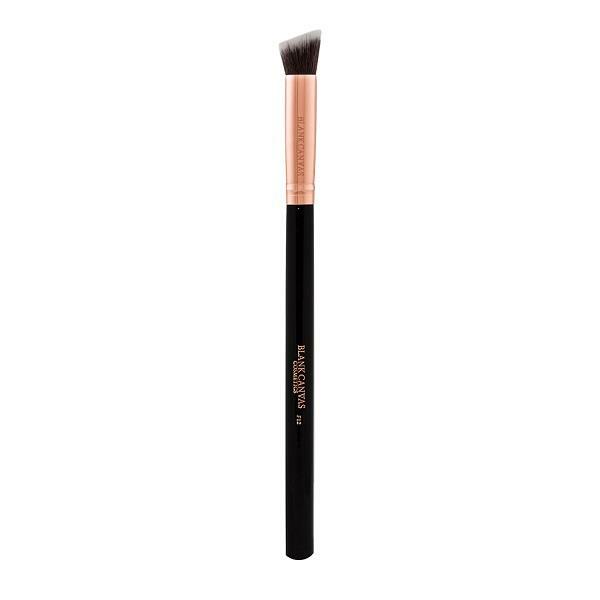 The Blank Canvas Cosmetics Rose Gold F12 is an angled shape face and eye brush. The F12 brush is perfect for applying eye products from your eyelid to your eyebrow bone. This Blank Canvas brush can also be used for stippling concealer on blemishes, under the eye and for contouring the nose or lip area.